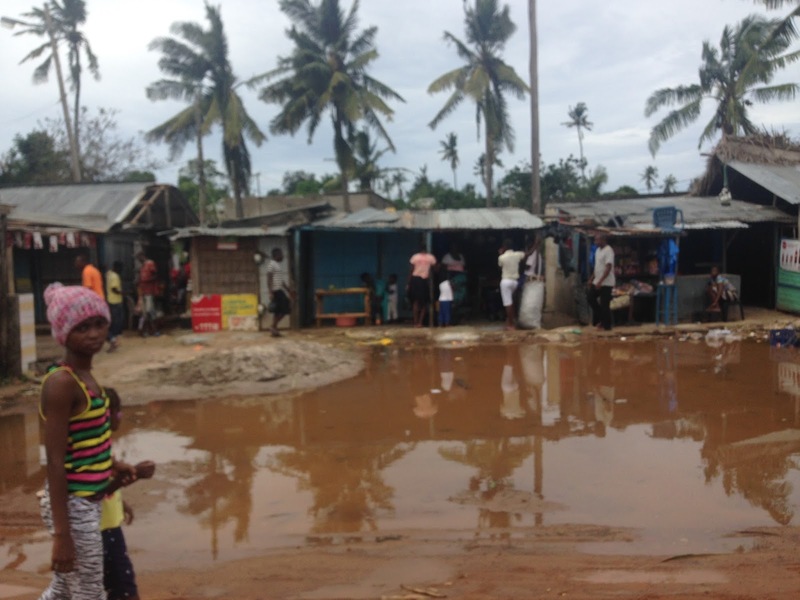 BACKGROUND: While it’s hard for us to make an accurate estimate of how many people were effected by the devastating cyclone, what we do know is that Dineo made landfall just north of Inhambane City where we live, alone the coast of the Indian Ocean late last Wednesday, Feb 15th. According to the National Institute of Disaster Management, 20,000 homes were destroyed, with over 650,000 people affected. 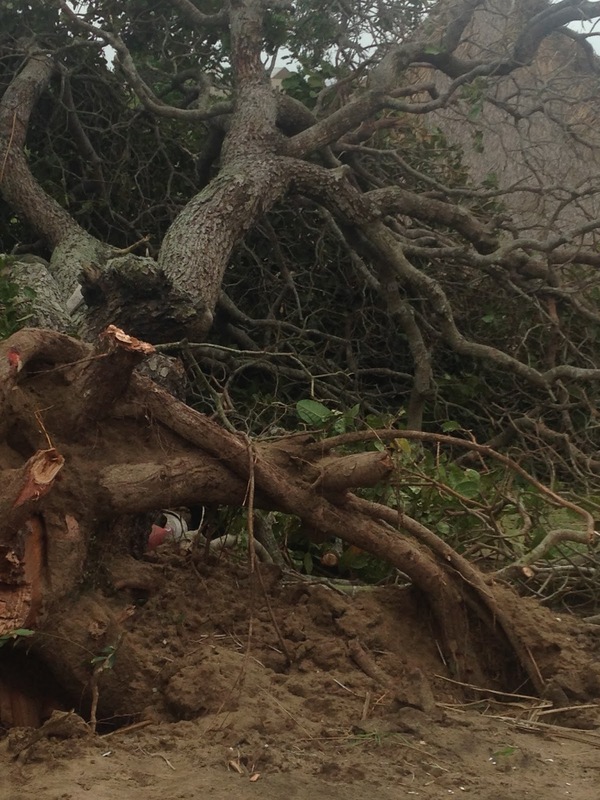 The city was struck by high winds, torrential rain, and rough sees. There were also a number of schools and health centers destroyed. 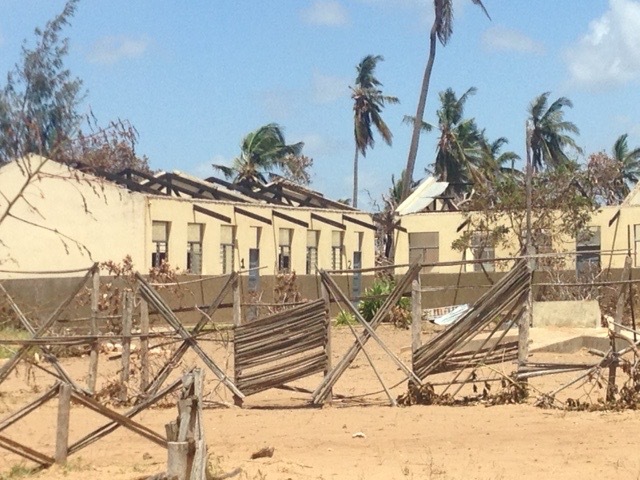 Mozambique, one of the world’s poorest countries, is now battling to rebuild. 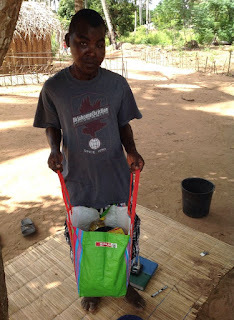 Working with the Mozambican, we are doing what we can with funds from the ECHO Project—a part of African Outreach Ministries. 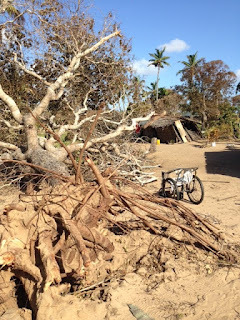 We are mainly cutting down trees—many that have crushed home—as well as rebuilding the houses of those in need. 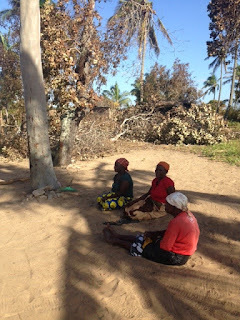 I'd like to ask for prayer not only my family, but for the people who are facing this tremendous cyclone here in Mozambique. The cyclone is a type 2 and so far has ripped tiles off of the guard roof, solar panels off our roof, and a few other casualties. We have very limited remaining electricity and are holding the fort (literally) as best as we can. 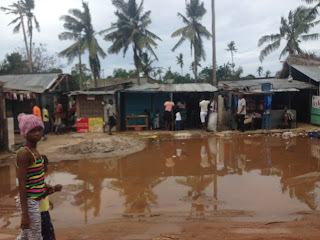 So I would like to ask for prayers over this cyclone as we know it is destroying houses and roads, causing flooding, and taking lives. We are blessed enough as it is to not have our house blow away. Constant prayer would be really appreciated. Rural school that lost its roof. We made it through the night. It was a bit scary, but we're fine. Some damage to our house, mainly roof tiles, our hot water solar tank fell and shattered, half of our solar panels flew off the roof, one walkway veranda covering blew off, and lots of trees limbs broke. But many people in our neighborhood--and beyond--lost their roofs, so clearly lots of damage especially with all of the rain. The main cell phone service is out, though we still have internet for now on another carrier. Water is out as well, and electricity is out in places, though we don't know how extensive. 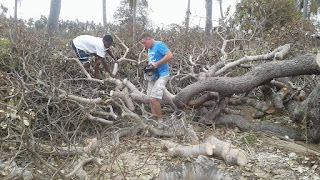 We are planning to organize some teams to send out and help clear roads--lots of trees down--and help with roofs once the roads are passable, (right now our only road out is blocked in multiple locations) we will take teams out to the villages to help as we can. If you would like to donate money that we will use to help with roof supplies, roads, etc, in the churches and in our communities, you can donate to the ECHO Project, and we will funnel the money to help the community here. 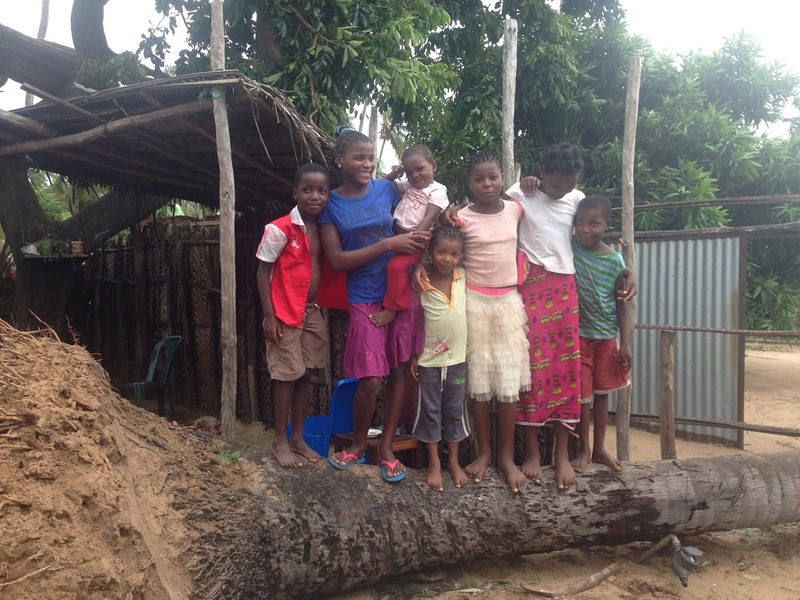 Please send us an email if you give, or mark online that it is for Cyclone Dineo Relief. Prayer Request: We've got a friend trying to source us some things in another town including nails for roofs and one or two gas chainsaws. With so many fallen trees and no power, this is a huge need. Please pray that he can find some of the things we need to help those struggling right now in our community. First of all a huge thanks to all of the comments and notes we've received from people praying for this part of the world! Today's praise is that the sun is shining and we've had no rain. 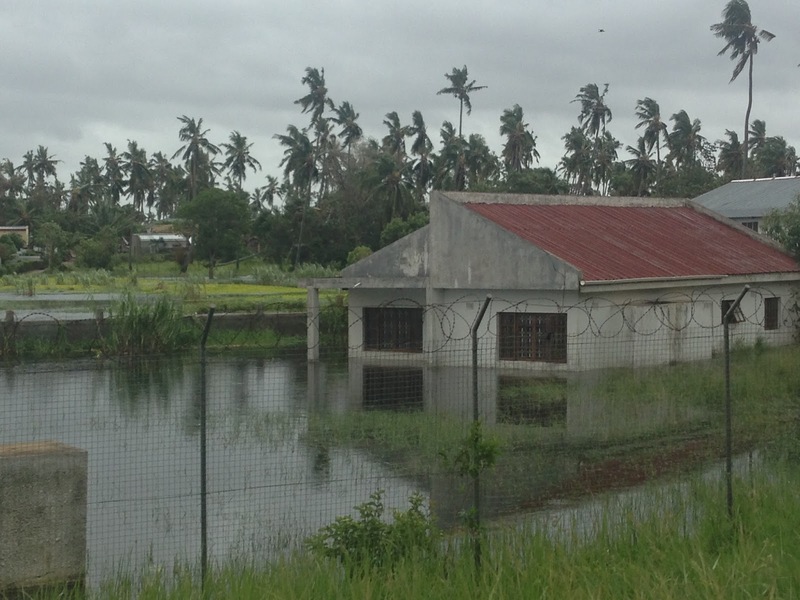 We've spoken to friends in South Africa where the rain was supposed to be extremely heavy as the downgraded cyclone moved across SA, but they didn't get much either. So one, this means people aren't having to deal with repairing and replacing roofs in the rain, and two, we will hopefully avoid the devastating flooding that comes to Moz when certain South Africa's rivers flood. Water is still out at our house, but I spoke with a neighbor and theirs is on, so at least that is progress. Power seems to still be out in our area as well, though I'm not sure if parts of the city and surrounding areas have it yet or not. Cell/internet service is on and off. We're running half our solar panels--the ones still on the roof--which is giving us enough to charge our fridge (though not 24/7) and keep things charged like our phones, computers, and neighbors' phones. Scott and David are out this morning with teams starting repairs. They found one chain saw and bought it, but it won't work, so they are still looking. We have a friend who found one south of us, so hopefully he can get that one to us today along with some of the other supplies we need. Scott spent two hours trying to buy a chain saw and some basic tools this morning, only to find out that the chainsaw--the only one we could find in town for sale--didn't work. Thankfully, a missionary friend three hours south found one and is bringing it to us this afternoon. 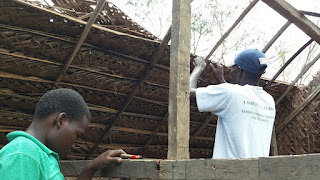 They started working in town to salvage a bedroom belonging to several girls in a compound. 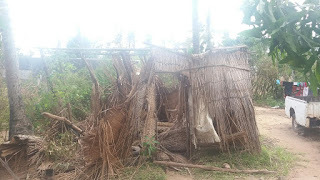 The girls actually slept there last night, even though there was a coconut tree that had crushed it. They had to cut up the tree with an ax, removed two walls and the roof, managing to safe two of the wall. Now they will clean the area and put in new posts, but will wait for the chain saw to do any more cutting down of the trees in the neighborhood, as it is so much work to do it by hand. 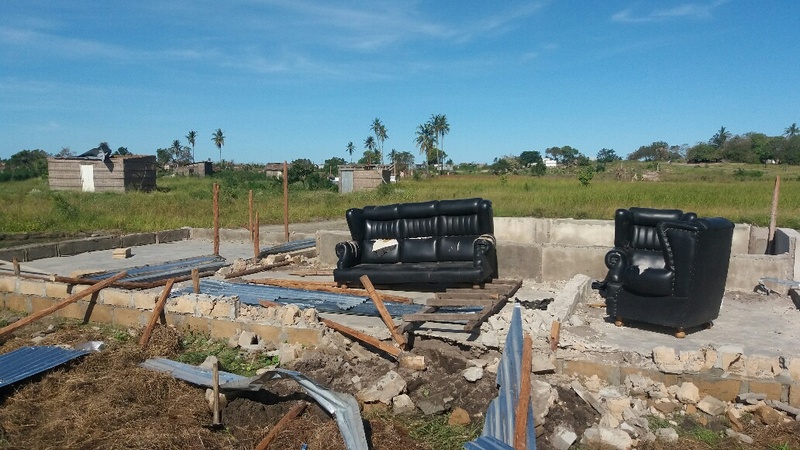 This afternoon, they will start on a couple more houses that were severely damaged. With so many people affected, the rebuilding will take time. Please pray as well for the weather, as it is predicted to rain again tomorrow which will make the rebuilding much harder. A coconut fell on the room where several girls slept. Thankfully they were already up when it fell. Yeah! We finally got our chainsaw. This is going to be such a huge blessing. And a huge thank you to Franco for transporting it here for us!!! 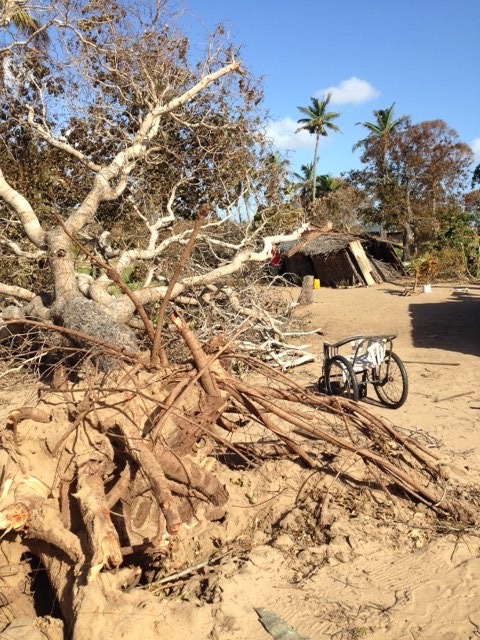 The team helped Isaias move his things to his mothers after his house was totally destroyed. With the chain saw, we can now go out early in the morning and start cutting down trees. Also have been able to source nails and other local building materials to help with the re-building. 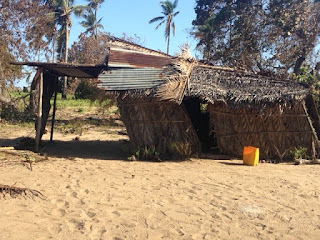 I've had a number of questions on how to give to the ECHO Project to help with the rebuilding after Cyclone Dineo, so I'm sharing how below. 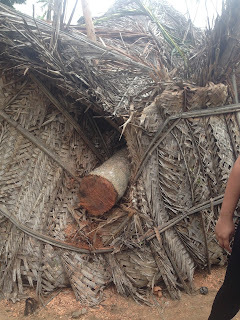 We were able to source a chain saw for $500 and are finding that even some of the local building materials like the woven palm branches used to build walls have almost doubled in price. 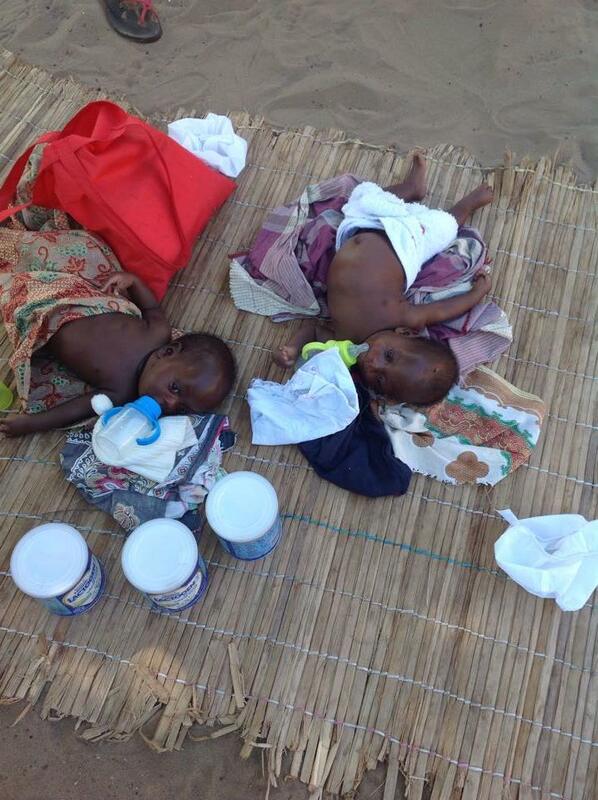 Even so, through the ECHO Project funds, we will continue to help as many people as we can. Write ECHO Project in the memo. Thank you for your continued prayers and support of the ministry here! The gas chainsaw has been a HUGE blessing. 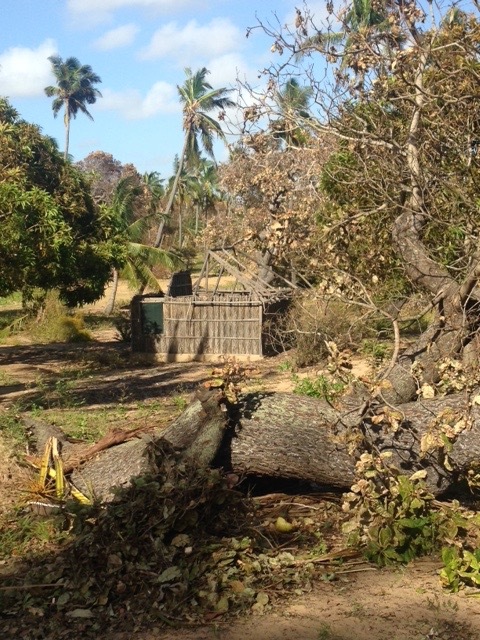 We've gone from house to house cutting up fallen trees for people. We have water!! David called early, early this morning to let us know the water was on. There wasn't enough pressure to get to our house, but Scott managed to get about 6 gallons of water from a tap at the edge of our property before it ran out. Don't think I've ever been so excited about doing dishes! About an hour after we finished days worth of dirty dishes, the pressure increased and the water came on at our house! Next on the to-do list is clean laundry! Praising God as well that there is still no rain, which means clean up is easier and our solar will charge. Another busy day! While some of the brothers worked to rebuild a fallen house, Scott and Franco walked through the neighborhoods and used the chainsaw to cut down around forty trees. Despite the destruction, I was so blessed by the testimonies at church. So many thought they wouldn't make it out alive. They shared their stories of how God protected them. 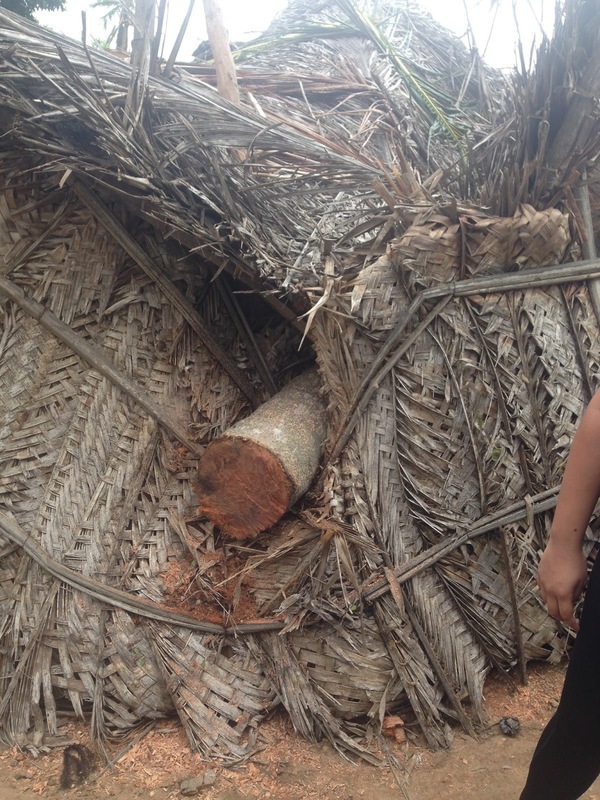 One widow had a tree fall on their house. She had to cut it away to get her children out. Then the next room they went to lost the roof. But none of them had even a scratch on them. After two days of using the using the chain saw and dozens of trees cut down, the blade is already dull! Searching for a place that has electricity who ca sharpen it. Here's the team on their way out to the Guinjata area to help a couple of widows in our church there, as well as to help as needed in the community. We've discovered that in town seems to be worse because of the high density of houses. A single tree there can easily hit two or three compounds, while out in the villages the compounds are spread out meaning less damage. 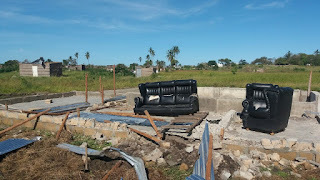 This is what is left of Isaias' house. 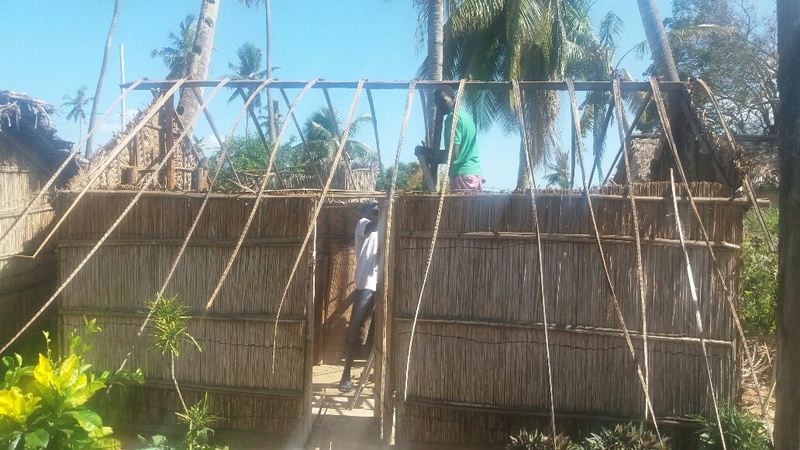 The team headed out again to Guinjata for the second day where they started building a house for one of the widows in the church. Yesterday they put up the frame and today they almost completed all the walls. The plan is to return tomorrow to put on the roof. Scott also received a phone call from a lady representing City Hope Disaster Relief that is run out of a large church in Durban. They are looking for a partner on the ground to send relief, and are ready to send ten food pallets, roughly 20k meals. They also talked about sending a team next week to help, and Scott asked if they could bring more chain saws to help with the clearing thought the neighborhoods, particularly in Inhambane City. Please pray for wisdom as we work out the details of this help. We also heard from some of the brothers in Zimbabwe who were also effected by Cyclone Dineo. They had major storms, flooding and lightening. In some places people were even evacuated by army helicopters. Team that went out one day. Here are some of the girls whose room was crushed. 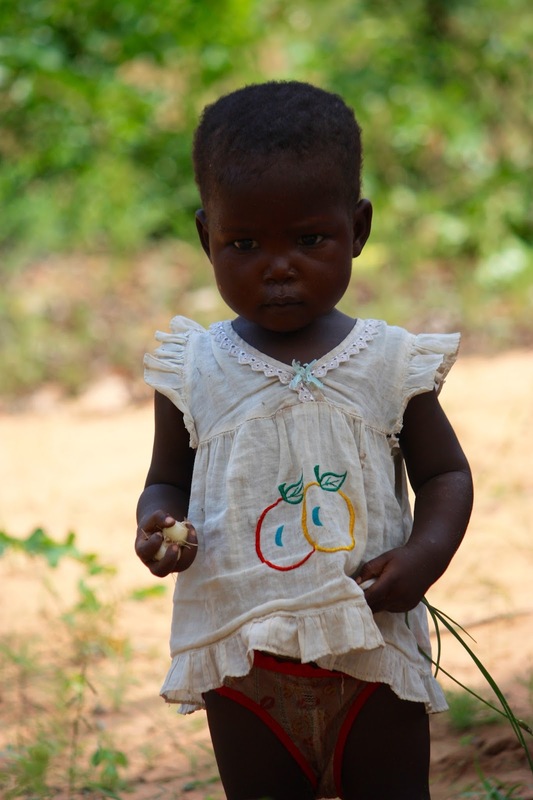 We are so grateful to everyone who has helped support the ECHO Project over the past few years. Because of your generosity, we have been able to continue helping some of the most vulnerable who live near us. Through this extension of our ministry here in Mozambique under African Outreach Ministries, we have always strived to make a difference in the live of individuals, and with your help, that is what we have been able to do. Here is a brief overview of what we did with the money that was donated to the ECHO Project last year. 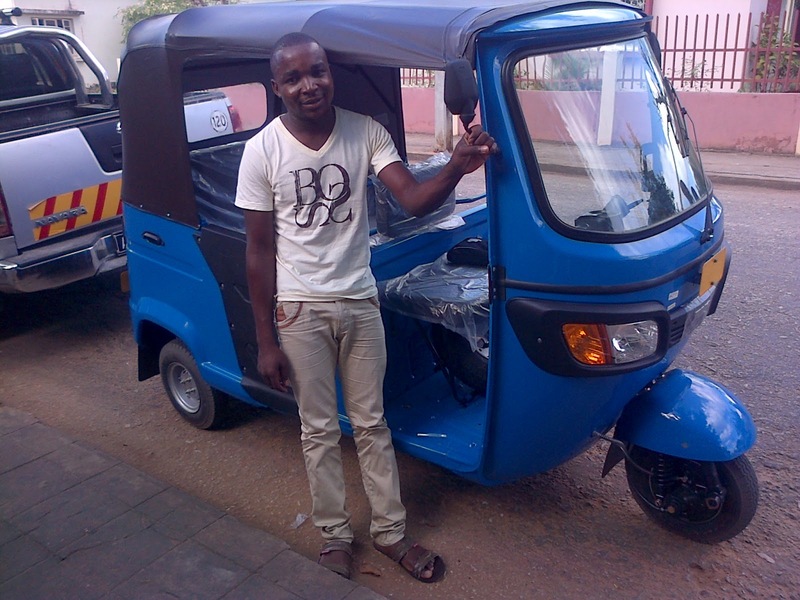 • Alex paid off the business loan for his tuc-tuc and now owns it free and clear! 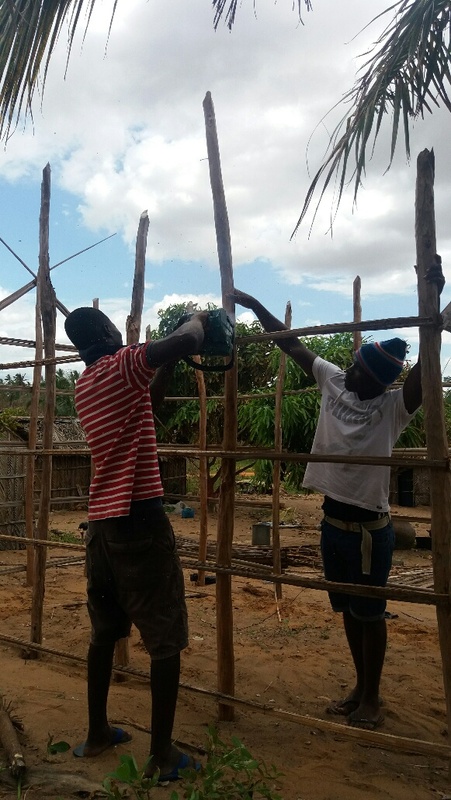 • Began revamping the water well in Magola now that electricity is available. This included buying the electric pump, a water tank, and the structure. Project will be complete in early 2017. 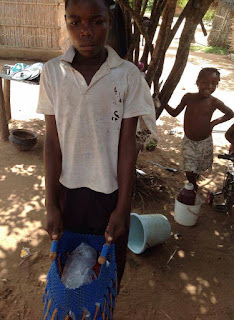 • Purchased school supplies and uniforms for a young woman from one of our village churches who is attending school in the city. 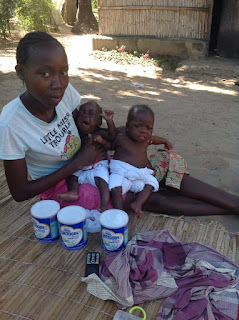 • Provided baby formula and cereal to the mother of twins unable to breast feed. They recently turned one and are doing well! We gave out $5775 in funding various projects and needs. The largest share fell in the Compassion category as we have begun the overhaul of the water well in Magola. The well is very deep and the hand pump kept breaking. We are now installing an electric pump that will be housed in a new concrete building with a large water tank on the top. As we look at 2017, here is a quick look at some of our goals for the year. • Completion of the water well renovation project in Magola. • Distribution of a second business loan. • Continued disbursements of food packets and medicine to those most in need. • Glasses for a young college student who’s struggling with his eyesight. We are currently redoing our website and social media so we can better keep you informed of what is going on with our ministry! It often gets a bit overwhelming to keep up with both ministry responsibility needs plus making sure everyone knows is happening on this side of the world. So please be patient as we will have more to share in the near future. As we look back over the past few years, we are so grateful to those who have generously given to The ECHO Project and helped us make a difference in the lives of so many. As we look ahead, we are continuing with the same things that have helped those living around us. The giving out of food baskets to families caring for orphans, medical aid to those in need, along with housing, educational help, and micro loans. 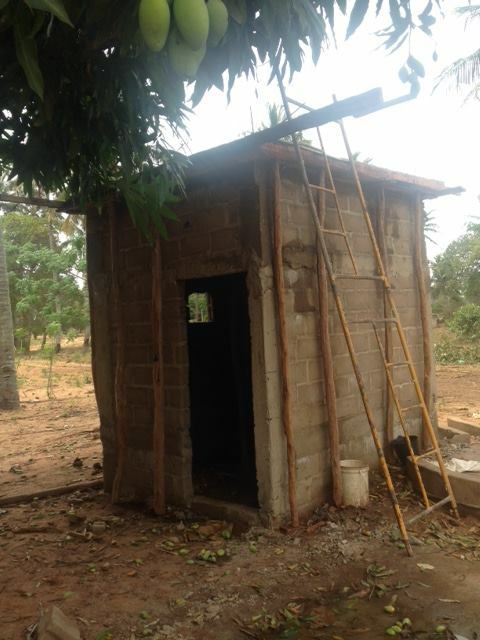 We also have funds to put in another water well and are currently working on the logistics of that project. In addition to these things, we have a number of life-changing opportunities we are wanting to put into place through The ECHO Project, and we ask for your prayers in these upcoming endeavors. A House of Hope for those who need emergency, temporary housing. This house will have caregivers in place to minister to the homeless, orphans, and those needing hospice-type care. 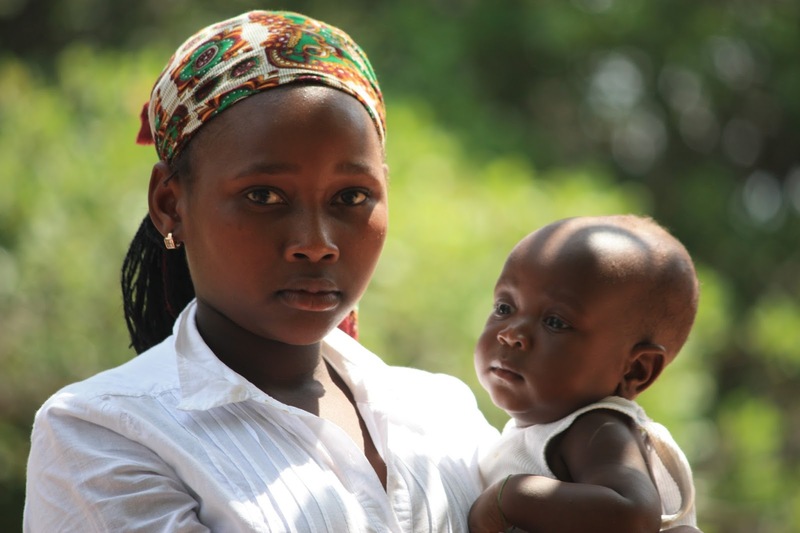 With thousands of women living without any financial support, we want to train women with sewing skills in order for them to make money to help care for their families. Please pray for us as we work over the next few months to make these two dream a reality in 2016! PS We are having issues with our website, so will be switching to this blog exclusively soon. Thanks! Please email your mailing (US only) address here and how many you would like. You can pay via check or paypal! For more information about The ECHO Project you can visit our website! 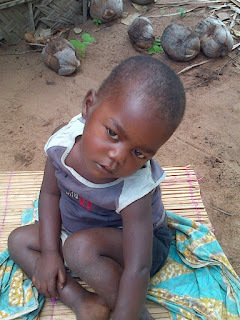 Help us make a difference. . .